Nick Foles' magic in Philadelphia can only last so long it seems. After taking over for Carson Wentz, who went down with an injury in 2017, Foles guided the Eagles to their first Super Bowl win. It seemed as if fans might see the same thing happen in 2018 after Wentz went down with another injury, but the Eagles ultimately fell short, although Foles showed that last year wasn't just a fluke with his performance. But the time has come, and although the Eagles would like to keep a secure backup plan for Wentz, the organization simply cannot keep Foles at the price tag he's commanding. 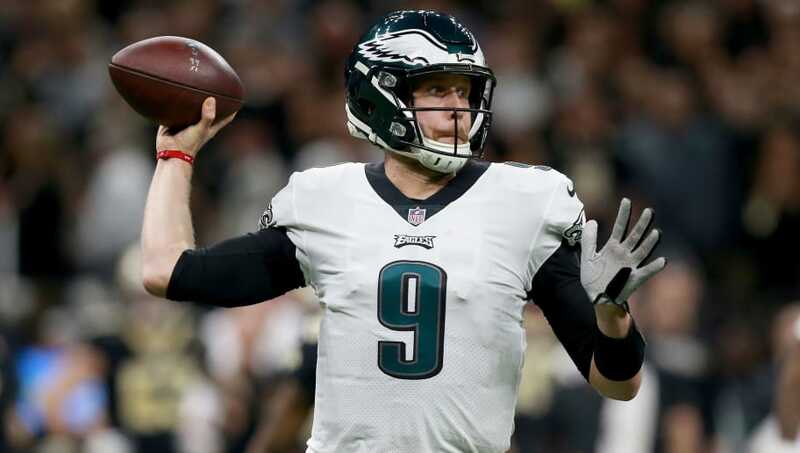 As a result, Philly was expected to pick up Foles' mutual option and then trade him for a draft pick, however, reports have emerged that Foles is rejecting the option. With several NFL teams in need of help at the quarterback position, Foles will not be without suitors. After benching Blake Bortles following a disappointing season in Jacksonville, the Jaguars are sure to be eyeing the former Super Bowl MVP. However, they will face some competition from other potential suitors including the Redskins, now without Alex Smith likely for the entirety of the 2019 campaign, and the Dolphins, who are eyeing potential replacements for quarterback Ryan Tannehill. With Foles' situation with the Eagles expected to be settled soon, we are closer to knowing where the veteran may end up. Now that Foles is a free agent alongside other big names, fans are sure to see an entertaining and exciting offseason..